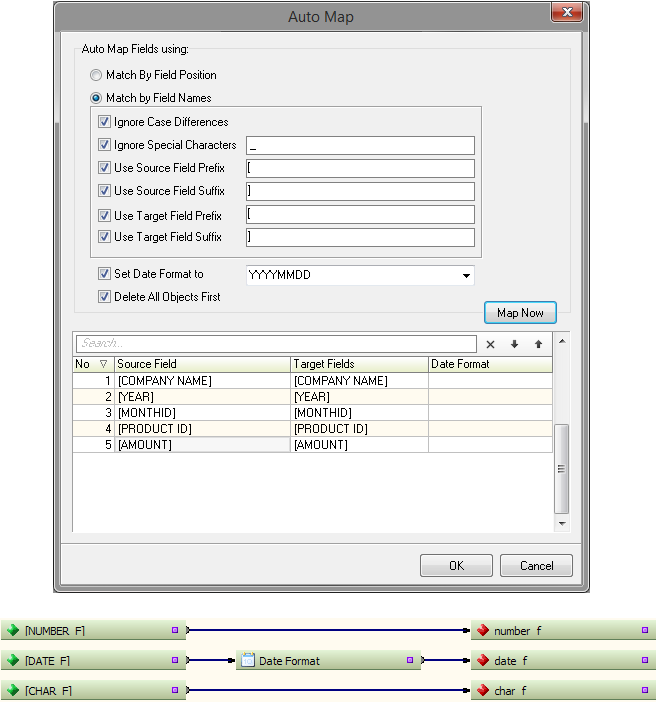 If no data is present in the grid check previous step execution log. 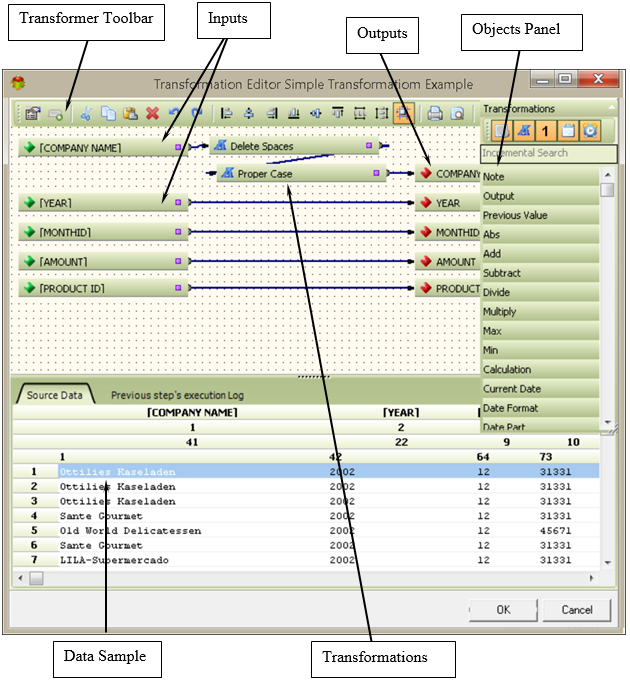 If a transformer is connected to any object other than writer it is possible to modify the list of Outputs. When the transformer is connected to writer list of Outputs is taken from Writer. If the Inputs and Outputs have got the same names you may use Auto map feature.